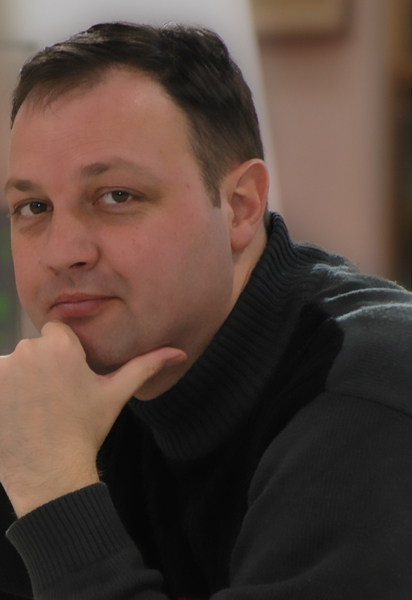 Aleksandar Veljic, translator, researcher, and writer was born in 1971 in Belgrade. In 1990, he graduated from Sixth Belgrade High School with a librarianship major. While staying with relatives in London who offered refuge and support during the civil war in the former Yugoslavia, he studied at Francis King School of English and later attended Ambassador College in the United States, majoring in English literature. Upon returning to Serbia in 1996, Aleksandar embarked on a close examination of the little-known World War II crimes committed by the Nazi Germans and their allies in the former occupied Yugoslavia. His painstaking research has resulted in several works on the genocide against Serbs, Jews, Roma, Slovaks, Ruthenians, Slovenes, Russian emigrants, and anti-Fascists of German, Hungarian, and other descent: most notably, Genocide Revealed. In 2008, he and the members of the Holocaust Memorial Society discovered a forgotten Holocaust site in Perlez village. Aleksandar is also the author of a successful handbook on basic English.